Hercules' Sanctuary in the Quarter of St. Theodore in Pula' deals with many aspects of the Roman sanctuary erected at the spring in Pula as well as with objects of cult dated to the Hellenistic period. The site was in use from the late fourth century BC to the fall of the Western Roman Empire, a date that approximately coincides with the demolition of the temple. Research focuses on Roman foundations which trace the ground plan of the temple that was surrounded by portico. Architectural fragments found at the site, as well as those kept in the collection of Pula Museum, were used to form proposals for a hypothetical reconstruction of the temple. The discovery of a relief club is the only reliable link with a particular deity i.e. Hercules. 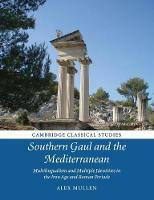 The continuity of the cult of Hercules has been recognised at the spring from the Histrian to Roman periods. Hercules was considered a founder and patron of the Roman colony of Pola. Nearness of the assumed umbilicus of the colony offers additional reasons to reconsider sacred rituals of the foundation of the colony. Traces of ritual desacralization, purification and storing of sacrificial remnants could be recognised at the site. A hypothetical reconstruction of the Roman sanctuary is followed by calculations of construction costs. 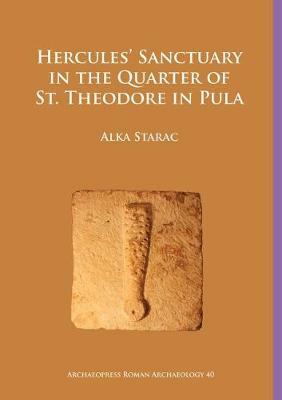 ALKA STARAC (born 15 April 1966 in Pula) defended PhD thesis Roman Rule in Histria and Liburnia in 1996 at the University of Zagreb, Faculty of Philosophy. During her studies, Alka obtained Rector's award of the Faculty of Philosophy in Zagreb for year 1986/1987. She was the winner of scholarship of CNRS France for scholarly research (duration six months) at Centre Pierre Paris, Bordeaux, in 1994. She worked as Head of Roman Archaeology Department and was senior curator in the Archaeological Museum of Istria, Pula (Croatia) and at the University of Juraj Dobrila, Pula. She is the author of some eighty scholarly papers published in archaeological journals with international review, as well as of eight monographs and of exhibitions in the field of Roman archaeology, epigraphy, history and economy.